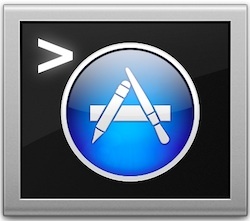 A handy terminal command will show a list of all apps installed on a Mac that have come exclusively from the Mac App Store. This can be helpful for a variety of reasons, like when building a list of apps you may want to replace from outside the official App Store channels if you’re migrating machines, or if you’re working on a remote Mac through SSH and are trying to figure out what apps are missing. You could piece together such a list manually as well by reviewing the Purchase History within the App Store, but that listing also displays items that are not actively installed on a Mac, making it much less useful. This command will include apps that have been downloaded but since hidden as well. Such an app list could then be compared easily to a list on another machine to see which apps may need to be installed. Remember, this is a list of only the apps that have been downloaded from the Mac App Store. If you want something more inclusive for files and things you have obtained from around the web, you can use this trick to uncover a list of every single file ever downloaded to a Mac. This shows everything sitting in the /Applications directory, which includes every single user installed app as well as what came from the Mac App Store. Alternatively, without using the command line you could use this trick to save the list to a file directly from the Finder too. Heads up to CommandLineFu for the sed-based trick.